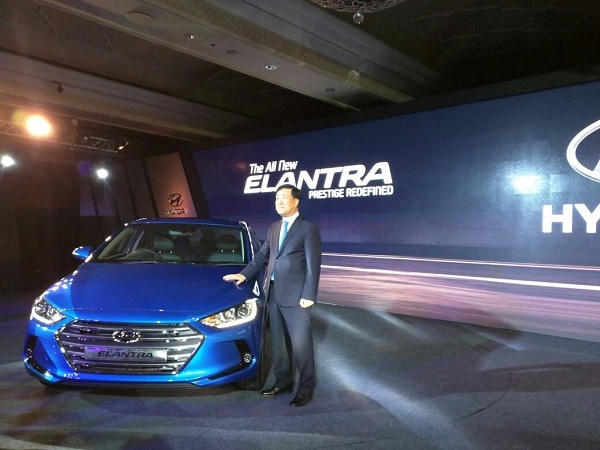 HMIL the Indian arm of Korean car maker Hyundai Motors has launched the iterated version of its luxurious sedan Elantra in Indian car market with starting price of Rs. 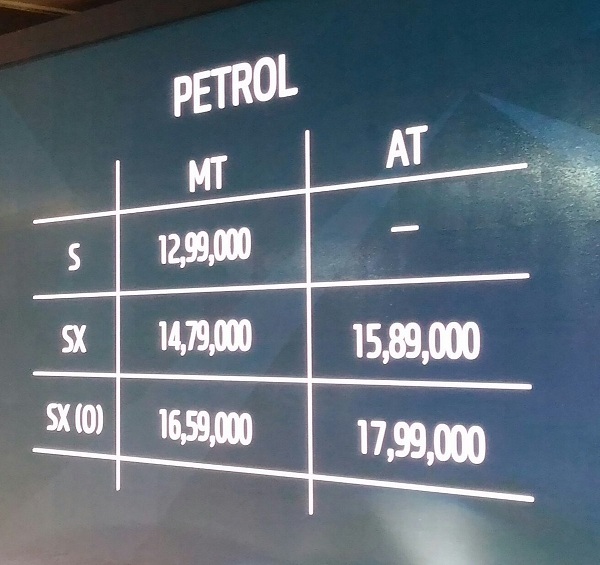 12.99 lakh (ex-showroom price, New Delhi). According to reports the new Elantra undergoes wide cosmetic changes including dimensional changes. The new Elantra is 20mm longer, 25mm wider, and 5mm taller than its outgoing model. To begin with its power it is offered in both petrol and diesel variants. The petrol variant is empowered with 2.0 litre naturally aspirated petrol engine that churns the power of 152 bhp and torque of 190Nm. 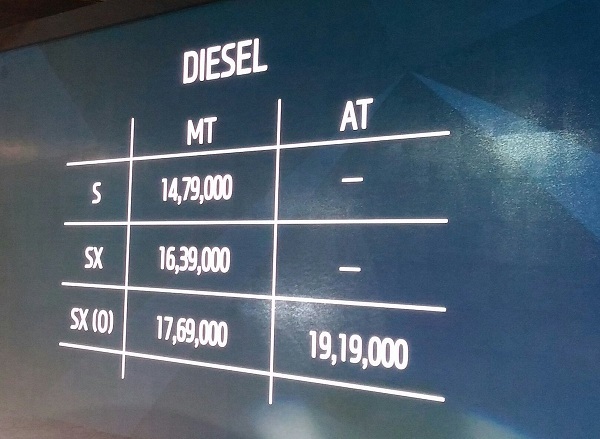 Whereas the diesel variant is energized with 1.6t litre motor that boosts the power of 128bhp and torque of 265 Nm. Transmission system includes six speed manual transmission system and also automatic gearbox on demand for both variants. On the exteriors it adorns new set of headlights with LED DRLs and boomerang shaped fog lights. The roofline has been given curved shape which gives the silhouette of this luxurious sedan an eye catching view. Moving ahead the roofline further moves ahead towards wraparound LED tail lights, the newly developed rear bumper cleanly covers the rear portion. Inside the cabin you will find huge fleet of various contemporary features. The major attractions of interior are Apple CarPlay system and Android Auto, cruise control system, driver and front passenger airbag as standard feature, dual zone climate control and many more. The top end variant is also equipped with side and curtain airbags. All these features were not found in the outgoing version of Hyundai Elantra. 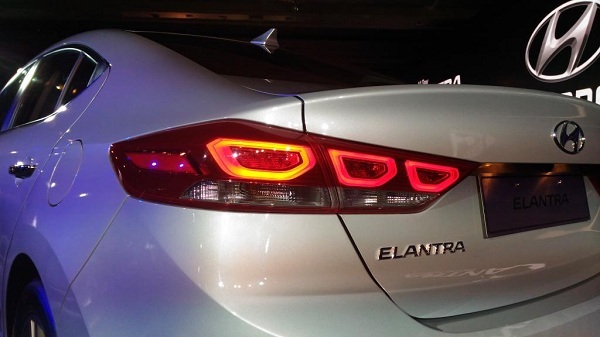 The new Elantra 2016 will compete against Volkswagen Jetta, Chevrolet Cruze, Toyota Corolla, and Renault Fluence. It would now be interesting to that which sedan will win the race of supremacy in Indian car market.